5,000+ agents in the Treasure Valley. Our job is to help ensure that this process is as easy and seamless as possible for you. We know it can be a stressful time, but with our help, it can also be really great too. We will do everything we can to make it a positive experience. Over 80% of our business is referral based. That means our clients have had great experiences and recommend us or keep coming back. Our goal is to make sure you feel the exact same way. With a combined 20 years in full-time real estate sales, 25 years in the title industry and a background in construction and lending, our exceptional team at Platinum Idaho Real Estate is guaranteed to provide you with a FIVE-STAR experience in helping you find your next home. We intend to earn and keep your trust through the entire purchase process. We will personally call you and keep you informed at all times. We will be honest in providing feedback on a particular property or neighborhood in addition to keeping you up to date on current market conditions and changes. Our goal is to make buying a home a fun and successful purchase decision. There is no cost to you in working with Platinum Idaho Real Estate to buy your next property. When you buy a property, we are compensated by the sellers. We love negotiating and our track record proves that we are successful in getting our clients the best value for the price. Our goal is to focus on your experience, which will create future opportunities for us to work for you and earn your referral business. Our team of experiences sales, administrative and marketing representatives are all committed to providing you with a FIVE-STAR experience. From your pre-approval, to your accepted offer, inspection contingency, closing and finally the signing, finding and recording process, we will be with you every step of the way. When you choose Platinum Idaho Real Estate to represent you for your property purchase, you get our entire sales team working on your behalf, not just one solo agent. We are sales representatives, with a strong track record in sales, negotiation and marketing. Combined, we have over 65 years of real estate experience. 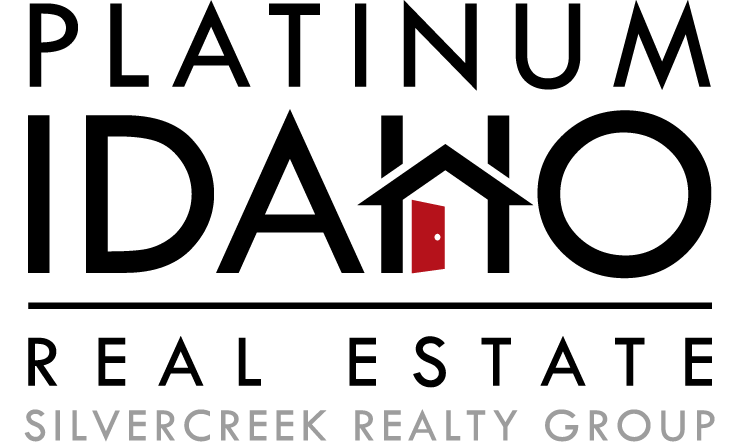 Platinum Idaho Real Estate is a local company within the Silvercreek Realty Group located in Meridian, Idaho. Our team is extensively networked in the real estate industry with strong relationships and industry connections. We have invested in state of the art technology systems and through our systems, checklists and customer service our goal is to keep you informed and stress free. We use the best tools and technology to assist with your search process and will manage the entire transaction. Through our automation systems, you will never have to print anything. You will be provided with instant property search updates and have full access to listings. Our paperless buying process allows for completed agreements in minutes from wherever you are and on any device. Our state of the art search tools make it easy for you to search for homes.